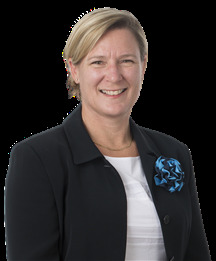 Jacky Brock is a well established professional with a wealth of knowledge and recognized success in the Real Estate Industry. 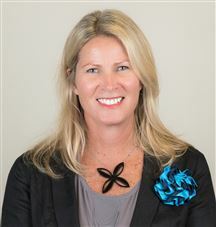 She is a local resident, and with the Harcourt's presence in Snells Beach, this underpins her knowledge and outstanding sales results in the Snells Beach, Algies Bay, Sandspit and Mahurangi East area. Jacky has a career background in business in the UK, and was for over 20 years the Commercial Director for a substantial and successful paper merchant. She has found that her business principles of professionalism and unqualified customer service also apply in the Real Estate Industry, and she brings the same enthusiasm, integrity, honesty, effective communication and dedication to achieving her clients objectives. Jacky is very much at home with 'The Harcourt's Promise' and her approach to marketing and selling a property "as if it were her own" demonstrates her warmth and commitment to her clients. She understands that property transactions can appear complex and challenging for some, so she enjoys providing the professional assistance and personal help and guidance that ensures her client's needs are met in every respect. With a large database of clients Jacky's repeat business is testament to not only her excellent sales performance but also her vibrant attitude, friendly disposition and focused commitment to her clients. If you are thinking of buying or selling a property, I would be delighted to be of service. "The Harcourt's Promise is your absolute assurance of just how seriously we take our responsibilities on your behalf. It's our way of being held accountable, and your way of knowing you will be looked after every single step of the way.Consider it our total commitment to working together to make the whole experience easier, less stressful and far more rewarding. And that's a promise!" A real estate career beginning in 2004, working from the Harcourts Snells Beach office, Karl a proven top performer acquiring many industry awards through to 2013/2014 he made the move into the Tandem Realty Ltd management team and also committed through intense training to become a skilled auctioneer. Enjoying both roles over the past years and developing a diverse and greater skillset Karl also missed the rewarding and personal touch of fitting buyers with homes as well as marketing and promoting seller’s homes in the best possible way, and that has lead him back to joining forces with long-time friend and colleague Jacky Brock, so as a team they can deliver an outstanding service to their clients and customers. Karl and Jacky combined have over 26 years’ experience in the industry they have been through all markets and offer a wealth of knowledge and skills to assist their clients in getting the very best outcome. Kate loves houses and helping people. Her reputation has been built on a solid foundation of professionalism, commitment to excellence, integrity and empathy. Kate provides nothing but exceptional service from start to finish – constantly going above and beyond for her clients. Her goal is to make the buying and/or selling process as seamless, enjoyable and effortless for you as possible. Kate is intuitive, genuine and has an approachable nature which helps her develop lasting relationships based on trust. She is meticulously detailed and dedicated to providing the highest levels of customer service. Her ability to listen well combined with an open and honest communication style makes working with her relaxed, and enjoyable. Kate is a community orientated local resident with a background in Finance. 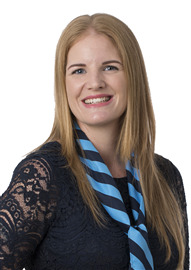 If you are looking for determination, experience, dedication and drive – then Kate Symons is the right choice. Talia has excellent public relations skills from her previous varied roles, most recently in Event’s Management. She brings a friendly professional approach to developing relationships with colleagues and clients alike. Having recently returned to New Zealand with her family after 10 years abroad, Talia is enjoying meeting new people and exploring the delights the area has to offer. In her spare time when not sailing with her family and dog, she is creating A1 Fine Art Silk Screen Prints. Grab Lot 3, or all 3 Lots! Buy me while you can!